MOUNTAIN VIEW, CA. 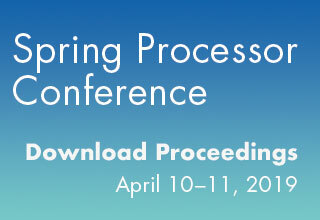 – March 28, 2019 - The Linley Group today announced an exceptional lineup of technical talks by industry experts at the second annual Linley Spring Processor Conference taking place April 10-11, 2019, at the Hyatt Regency in Santa Clara, CA. 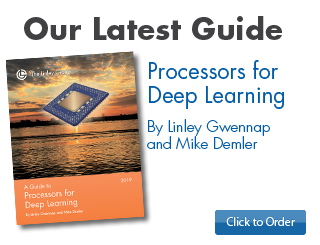 This unique forum brings together world-class innovators developing the latest processors, memory, and IP cores used in AI, embedded, communications, IoT, and server designs. AI in Data Center – Deep neural networks (AI) are being broadly deployed to support increasingly complex services such as voice interfaces, image searches, content filtering, and data mining. This session will discuss how server designers can improve the processing, memory, and I/O capabilities of their systems to address these changing workloads. IoT Security – Recent breaches in the Internet of Things have shown that strong security can't be an afterthought but must be incorporated into designs from the start. This session will discuss technologies and industry initiatives that resist attacks from multiple vectors. 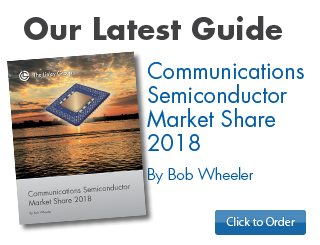 CPU Cores – RISC-V is gaining ground in the CPU-core market while Arm remains the leading supplier of CPU cores for client devices and microcontrollers. This session highlights these two approaches and contrasts the capabilities of these CPU vendors. AI at the Edge – AI is moving out of data centers and into edge devices including automobiles, security cameras, IoT devices, and smartphones. This session will examine challenges in edge-AI as well as the licensable cores available to accelerate deep learning. DSP Cores – Automotive lidars and radars produce signals that are very different than cellular radios. This session will describe two new DSP cores that can handle complex signal-processing tasks in automotive, IoT, and other challenging applications. SoC Design – Combining many types of cores on a single chip presents many SoC-implementation challenges, but employing a network-on-chip (NoC) can ease integration, as can use of configurable silicon-proven cores. This session will discuss the benefits of NoC tools and design platforms for complex chips. Presenting companies include Arm, Intel, Flex Logix, Arteris IP, Cadence, Synopsys, Ceva, Inside Secure, Micron, Andes Technology, Wave Computing, SiFive, eSilicon, and Rambus. Attendees will have an opportunity to network with industry leaders and visit sponsor exhibits during the cocktail reception on Wednesday, April 10 immediately following the presentations. The Linley Group offers free admission to qualified registrants who sign up by April 4. For the full conference program and to register, please visit www.linleygroup.com/SPC19. The Linley Group is the industry's leading source for independent technology analysis of semiconductors for a broad range of applications including networking, communications, data-center applications, mobile, and embedded. 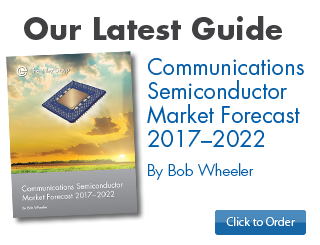 The company provides strategic consulting services, in-depth analytical reports, and conferences focused on advanced technologies for chip and system design. 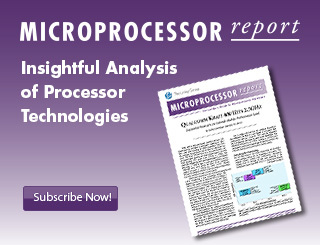 The Linley Group is the publisher of the noted Microprocessor Report, a weekly publication. For insights on recent industry news, subscribe to the company's free email newsletter: Linley Newsletter.